The Military Star card is a credit card that is exclusively available to military personnel and their families. Whether you are on active duty or retired from military service, you are eligible for this card that offers multiple discounts and supports long term military community programs. This credit card offers members reasonable rates and flexible terms that help build or rebuild responsible credit over time. Depending on which type of AAFES star card you choose, you may be able to earn valuable rewards, cash back, or redeemable points that can either be applied as a statement credit or gift cards. As a Military Star credit card member, you can use this rewards card to make discounted purchases at all AAFES-owned stores (i.e: the bx exchange (Base Exchange), px exchange (Post Exchange), NEX (Navy Exchange), and MCX (Marine Corps Exchange) stores. Military Star credit cards are also accepted for items purchased through the AAFES online store. Star credit cards are not accepted without proof of valid military ID. You should also be aware that Commissaries do not accept Military Star credit cards. The Military Star credit card is available and managed through the Exchange Credit Program (ECP). ECP is an (Army and Air Force Exchange Service) AAFES-funded and operated program originally established by the Department of Defense (DOD). It specifically intends to protect its service members from predatory lending. The Exchange Credit Program offers secure credit solutions to more than 2 million Army, Air Force, Navy, Marine, and Coast Guard customers through their star card program. Provisions contained in the federal Servicemember’s Civil Relief Act (SCRA) apply under certain conditions which help regulate the program. The Servicemember’s Civil Relief Act (SCRA) is a federal law created as a debt protection aid to servicemembers. A provision included in the SCRA caps interest on debts incurred (except for Student Loans) prior to the servicemember’s active duty participation at 6%. This includes Reserve or National Guard activation or mobilization. This does not apply to charges made after the member’s active duty activation/mobilization. • Have incurred charges on their ECP account prior to enlisting, being appointed, being mobilized or activated. The Exchange Credit Program will lower your interest rate while you are on active duty when ALL of the above conditions are met. The rate reduction is effective from the first day of active duty until the day active service is ended. After that, the interest rate reverts to the standard rate stated in the most current Exchange Credit Program Credit Agreement. The Star Card Program is a credit line designed to assist military members and their families with their financial needs. The program offers financial safety, affordability, and fair and flexible terms at a competitive low APR, regardless of the member’s credit score. The Military Star credit card cannot be used everywhere like a standard bank-issued credit card. The Military Star card may be used at military exchanges and facilities such as the Army and Air Force Exchange Service shopping facilities and food courts and Armed Forces Recreation Center resort hotels, as well as, online at ShopMyExchange.com and MyNavyExchange.com. • Members do not incur an annual fee, foreign transaction fees, late fees, or over-limit fees. Also, there is no back-interest add-on when 0% promotions expire. • The Rewards Program allows members to earn 2X the points for every $1 of qualifying net purchases. Members earn a $20 Military Star rewards card for every 2,000 points they accumulate. The card is redeemable anywhere military exchange gift cards are accepted. • New members automatically save 10% on their first purchase. • Access your free FICO® credit score to help you monitor and improve your credit. Separate from the Military Star credit card, but activated upon approval of it, is the Exchange Credit Program’s military clothing line of credit. Active duty service members automatically qualify for a $500 clothing and authorized accessories credit limit under the military clothing credit line. The Military Star line of credit is designed to help our servicemembers’ and their families’ with their purchases, PCS, deployment, or retirement needs. Compare the Military Star card with other market rewards card competitors to see which choice is right for you. Each of the competitors’ cards offer active duty military members perks based on their individual preference(s), from no fees and redeemable cash back to travel and entertainment rewards. The USAA Cash Rewards® Visa® card pays less cash back per $1 spent than the Military Star card, but this card is not limited where it can be used or how the rewards may be used. The USAA Cash Rewards® Visa® card gives special APR discounts to active duty military members. • There are no annual fee, foreign transaction fees, or penalty APR (Annual Percentage Rate). • Members can earn up to 1.25% cash back on every $1 spent in net purchases. There is no limit on the amount of cash back you can earn. The more you spend, the more you can earn. (A minimum of $17,000/yr. must be charged to reach the 1.25% rewards rate level). Benefit: Cash back can be redeemed for statement credit or be paid to you as a check. Drawback: Variable APR for purchases, balance transfers, and cash advances (10.15% to 26.15%, based on creditworthiness/credit score). The Chase Sapphire Preferred® Card is a better choice for military members who want to earn travel rewards. The Chase Sapphire Preferred card offers 2X points (for every $1 spent on net purchases) on travel and dining. Points are equally transferrable (one point equals one dollar), for foremost hotel and airline loyalty programs. • Earn 1 point per every $1 spent on all other purchases. • Earn 50,000 bonus points when you make $4,000 in qualifying purchases within the first 3 months the account is open. • No foreign transaction fee. Benefit: You receive 25% more value when points are used to book travel through the Chase Ultimate Rewards® portal. (i.e. : 50,000-point bonus is worth $625 in travel credit). Drawback: The $0 annual fee is a first year only introductory offer. (A $95/yr. annual fee is charged after the first year). The Discover it® – Cashback Match™ card offers a graduated cash back, bonus-categories, rewards plan. The Discover it® card has a rewards rate that exceed double that of the Military Star credit card. Bonus categories typically include department stories, gas, dining, and movie theaters. • There are no annual or foreign transaction fees. • Earn a 5% cash back in designated bonus categories (limit of $1,500 in purchases every 3 months the account is active). • Earn an unlimited 1% cash back on all other purchases (not included in designated bonus categories). • All cash back earned at the end of the first year is matched by Discover (new cardmembers only). The Blue Cash Preferred® Card (from American Express) is particularly good for those interested in significant cash back rewards. • Get 6% Everyday Cash Back at US supermarkets (up to $6,000 in purchases/yr., and 1% after that). • Get 3% Everyday Cash Back at US gas stations. • Receive 1% Everyday Cash Back on all other purchases. • Fraud protection is included. • Earn American Express Travel benefits. This cash back rewards car offers significant bonuses when you have major grocery and travel expenditures. Benefit: Apply by January 11, 2017 and receive 10% cash back on Amazon.com purchases within the first 6 months (up to $200). Earn $150 cash back when you spend $1,000 in purchases on the new card within the first 3 months. Drawback: $95 annual fee. If you do not spend significantly, you might prefer the Military Star card that has no-annual fee. The competition offers all-purpose credit cards that may be used anywhere at any time, at locations as well as online. The Military Star credit card rewards program has no categories or limits. You earn two points for every $1 in net purchases, on everything you purchase, when you use your card at the Army and Air Force Exchange Service food courts, Express® locations, mall vendors, etc., and Armed Forces Recreation Center resort hotels. This is also the case when you purchase online at ShopMyExchange.com and MyNavyExchange.com websites. The Military Star Rewards Program appreciates and thanks its cardmembers for loyally using their star credit card. To show our appreciation, military cardmembers receive a personal dividend as a thank you for shopping at the exchanges and online. Cardmembers automatically earn a $20 Military Star rewards card for every 2,000 points you incur through your purchasing. Every point earned is equal to one cent. This redemption value is comparable to what the other rewards cards and companies offer. The rewards card may be redeemed for merchandise or services wherever an exchange gift card is accepted. There is no limit to how many gift cards you can earn and/or redeem each year. For example, if you spend $10,000 at the exchange in one year, you can expect to receive $100 back in rewards. Cardmembers will lose their accumulated points if they are not redeemed by February following the year they were earned. The previous year’s unused points will be shown on the billing statement as having expired as of the February statement closing date. If you do not use the reward points by the February statement closing date, you will lose the reward points. If you voluntarily close your account, or if the Exchange Card Program closes it for you for any reason, you also forfeit any unused points. • Free standard shipping when you shop and/or purchase online atShopMyExchange.comandMyNavyExchange.com(NEX). • A savings of $0.05 per gallon when you fill-up at participating Army and Air Force Exchange locations. • A 10% discount on Army Exchange and Air Force Exchange food court purchases. You may additionally use the card for military clothing plan purchases. No points are earned on clothing plan purchases, however, the convenience and overall savings makes up for it. • Promotional 0% interest offers. • Promotional holiday and bonus credit prizes and offers (check out: https://www.myecp.com/CustomerAds/Page/Exchange). • No-interest and no-payments for 12 months offers on selected items (i.e. : jewelry, electronics, etc.). • Incentive savings (15%) only for new cardmembers. The military star credit card is one of the best choices for those who want to earn rewards with no annual fee, who regularly shop at military exchanges or at AAFES online military retail sites, and for those who want to establish, improve, or work toward repairing their credit history and credit score. On the other hand, this might not be the ideal credit card for you if you prefer earning travel miles (in lieu of points and cash back rewards) or if you prefer more flexibility in where the card is accepted or how, when, and where rewards are redeemed. If the service member and/or family is trying to find a card that can help them start their credit history or get it back on track, or improve their credit score, this is an excellent choice. You can easily grow your credit score over time with consistent and on-time minimum payments due each month. Keeping your balance low also helps increase your FICO score. The card’s APR (Annual Percentage Rate) is a reasonably low variable rate (10.49%) applied to all purchases made through one of the AAFES shopping exchanges. Military clothing plan purchases are charged a 0% APR. If it is necessary to carry a balance, there is no threat of being carried away by a high interest rate. The card never requires an annual fee or imposes foreign transaction or late fees. As an additional amenity, beginning in 2015, your Military Star credit card may be used to purchasevacation packagesthrough the Morale, Welfare and Recreation department of the military. Not only do individual members benefit from the Military Star credit card, but so does the entire military community. A significant portion of star card earnings are returned to the community to fund Morale, Welfare and Recreation (MWR) Programs for service members and their families. Merchant and bank fees are negated since all star credit card transactions are processed in-house This allows the Exchange Credit Program to return significant monetary benefits back to the military community. The Exchange Credit Program has returned $639 million to these programs over the last 10 years. The Exchange Credit Program (ECP) makes special deployment benefit payment and interest arrangements for military members who are deployed. Proof of deployment orders must be sent to ECP. The servicemember’s account must also be current and in good standing to be eligible to receive the deployment benefit. The Exchange Credit Program offers deployment benefits to all eligible active duty and mobilized or activated Reservists or National Guard military members that may need some temporary relief from their star credit card interest and payment obligations. Eligibility requirements are similar to those contained in the The Servicemember’s Civil Relief Act (SCRA) that generally addresses debt protection of servicemembers. Those who are deployed must verify deployment orders to qualify for the deployment benefit. The starcard account must currently be in good standing (have no more than one late payment), and proof of deployment (a copy of your deployment orders or a letter from your unit commander), to be qualified. The servicemember and/or spouse may continue to make purchases. But they are temporarily not required to make monthly payments. The card’s interest rate is also temporarily reduced to 6%. After deployment is over, the interest rate on the account is re-activated to the current rate stated in the Exchange Credit Program Credit Agreement. Monthly payments resume for as long as there remains a balance on the account. Lenders use credit history and FICO score to determine credit worthiness and lending risk. The ECP strives to help inform servicemembers so they can build a solid credit history and improved score, enabling them to acquire all the benefits reaped from having a good one. Payment history is approximately 35% of your credit score. Always pay your bills on time. Check your credit account(s) status and statements regularly (for bogus charges or fees, missed credits, etc.). Account balances account for approximately 30% of your credit score. For the best rating, keep card balances low, pay off debt rather than transfer it to other cards, do not close unused credit card accounts, and do not open new accounts just because you received a promotion/offer in the mail. How long you have had a history of credit comprises approximately 15% of your credit score. This includes how often you use the credit you have as well as how you’ve had it. New credit accounts for approximately 10% of your credit score. Manage the accounts you have. Do not open too many new accounts all at once. The types of credit you have make up approximately 10% of your credit score. You should strive for a balanced combination of credit to show you effectively manage varying types of financial responsibility. Loans (car, mortgage, RV), credit cards, retail cards, etc. should all be part of your credit account portfolio. Closed accounts can also appear and impact your credit score. Check your credit report from each credit reporting agency (Equifax,Experian,TransUnion, andInnovis) at least once a year. Catch mistakes or dispute erroneous charges/accounts. The Military Star credit card’s major drawback is that it can only be used for AAFES exchange or military clothing plan purchases. 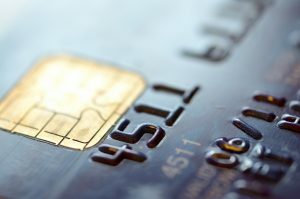 Credit cards, such as those issued by USAA and Chase, are more flexible, accepted by more merchants and vendors, and do offer various perks to military personnel. Other cards may also offer more promotional and introductory offers and one-time rewards incentives for new-account members. While star credit card rewards may only be redeemed for military exchange purchases. This may be viewed as a limitation by some members. If cash back, reward points, or travel miles is your priority, or if having the flexibility to pay by credit at non-exchange stores is more convenient, you may consider having the Military Star card that offers exchange and servicemember benefits as well as one of the other rewards cards that offers military benefits. A significant factor to be aware of too, is that the starcard balance must be paid in full upon separation from the military. The military can take payments from your bank account for those you missed. Go to the Exchange Credit Program (MyECP website) to apply for a Military Star credit card. Begin by first setting up a MyECP account. Create a profile and complete the application, providing requested information (name, birthdate, Social Security number, military verification, and correct answers to security questions). Applying online through the Exchange Credit Program Military Star website will reward you with a 10% discount on your purchases the first day. A professional customer service Exchange Contact Center team is available 24/7 to serve our military customers, unique needs. You may also fill out a Military Star credit card application at your local exchange. The same information (name, birth date, Social Security number, military verification) will be requested. There are numerous credit cards on the market. What you need is one that is military-friendly, and that understands the need for flexibility in use and repayment, as well as one that provides equal rewards and benefits. The star card offers a lower interest rate and several attractive reward and redeeming offers and promotions. The Exchange Credit Program manages, oversees, and promotes the star credit card for military servicemembers and families. The starcard is geared toward obtaining the basic needs of the servicemember through the exchange. BX, PX, NEX, and MCX facilities and online AAFES stores accept a military star card payment. Commissaries and general vendors do not. Because it is for use at military facilities and online websites only, it may seem restrictive. Although military ID is required when an AAFES star card purchase is made, AAFES employees are required to check military ID regardless of method of payment. Swipe the card, sign the payment slip, show your military ID and you’re on your way. AAFES.com is the only online merchant that accepts a military star card payment. Membership and proof of military affiliation is required to shop at AAFES.com. Once you have selected the items you wish to purchase, enter your star card account number at the payment information screen. Also enter your AAFES star card expiration date, and the security code found on the back of your card. Before applying for the Military Star credit card, weigh the benefits. Look at the rewards, interest rate(s), introductory v. long-term and promotional offers, and how they fit with your particular needs and lifestyle. This credit card program makes it possible to delay payments and temporarily reduce interest to 6% while on deployment. It can also be a useful tool to help the servicemember improve and increase their credit score. Shipping is usually free when you indicate your military star card payment, regardless of what type of credit card you use online or at exchange locations. Interest rates apply and can change. The Exchange Credit Program states that the interest rate is lower compared to other commercial store cards.